These wall murals are seriously making me want to redo my living room. 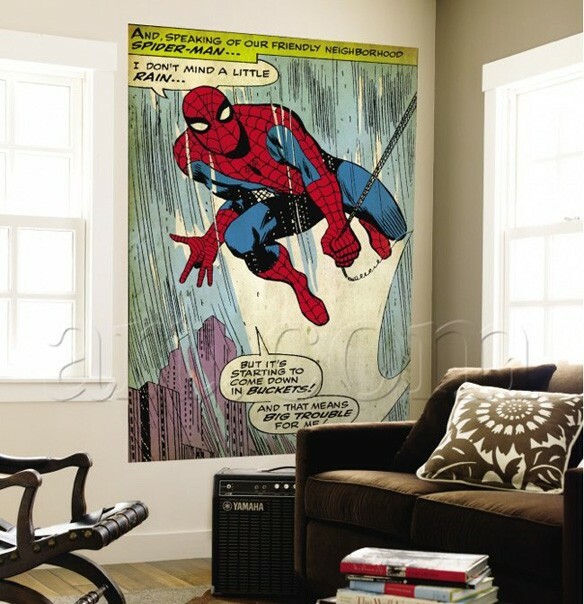 Art.com now offers large murals of some great moments from 1960’s Marvel comics. I think the one above is perfect for Seattle–-nerdy, artsy, and talking about rain. Prices range from $124.99 to $279.99, making them an affordable statement piece for your room.